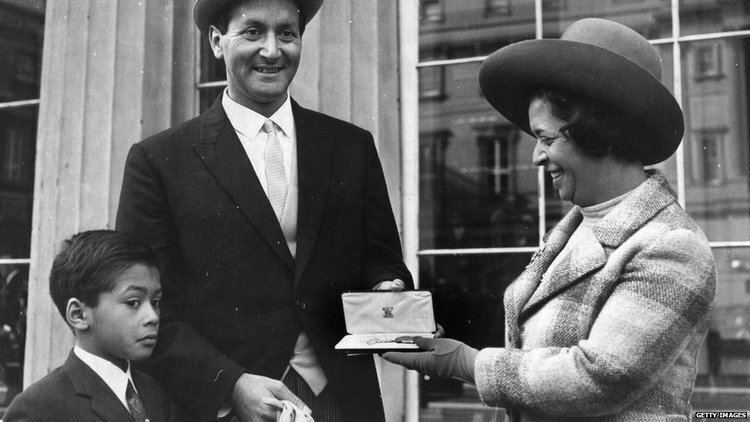 Basil Lewis DOliveira CBE (4 October 1931 – 19 November 2011), known affectionately around the world as "Dolly", was a South African cricketer who played for England. 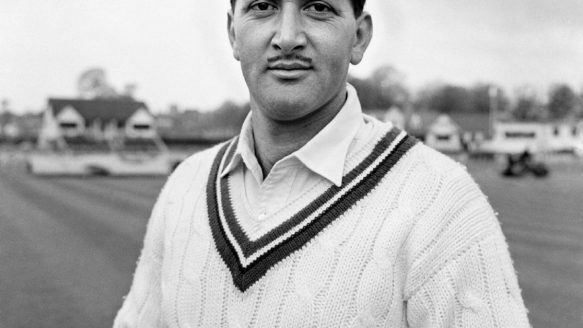 DOliveira was classified as coloured under the apartheid regime, and hence barred from first-class cricket, resulting in his emigration to England. He played for the England cricket team in forty-four Test matches, and four ODIs. 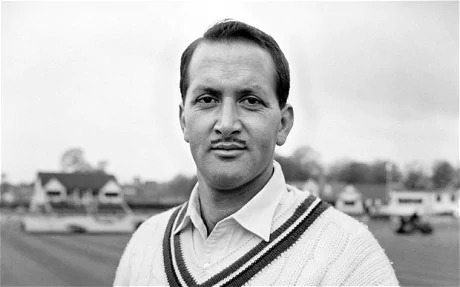 Despite his cricketing prowess, he was best known because of the "DOliveira affair", centred on his inclusion in the England side for a planned tour to South Africa in 1968. Born in Signal Hill, Cape Town, of Indian-Portuguese descent, as a boy he would make his way down to the Newlands Cricket Ground in Cape Town, and climb the trees outside to watch the games. DOliveira captained South Africas national non-white cricket team, and also played football for the non-white national side. With the support of John Arlott, and the members and supporters of St Augustines Cricket Club in Cape Town, he emigrated to England in 1960, where the journalist John Kay found him a place in his Central Lancashire League team of Middleton. DOliveira noted his surprise at seeing white people doing menial work, and waiting on him in restaurants. He joined the "first-class cricket" Worcestershire County Cricket Club in 1964, and became a British citizen. In 1966 he was selected for the England cricket team as an all-rounder to face the West Indians in the second Test. He made a solid debut, scoring 27 before being run out, and returning bowling figures of 1 for 24 and 1 for 46 in 39 overs. In the third Test he scored 76 and 54, while capturing 2 wickets for 51 and 2 for 77 at Trent Bridge; though the West Indies cantered to a 139-run victory. He contributed a fighting 88 in the fourth Test at Headingley, although England once again lost, by an innings and 55 runs. DOliveira was quietly efficient in the final Test as England turned the tables on the West Indies, winning by an innings and 34 runs to lose the series 3-1. Against India he hit 109 in the first Test where England won by six wickets and went on to win the series 3-0. Facing Pakistan he hit fifties in both innings of the first Test, in a series that England won 2-0. He was one of the Wisden Cricketers of the Year for 1967. Next up was an away series against the West Indies, early in 1968. DOliveira didnt turn in his best showing in the five matches, scoring only 137 runs at an average of 27.4. He did a lot of bowling, but picked up only three wickets, even though he was economical. Once back in England, it was time for a five-Test Ashes series. The Aussies crushed England by 159 runs in first Test as England crumbled in their second innings, despite DOliveiras top scoring effort of 87 not out. He was then dropped for the subsequent three Tests. He was recalled by the selectors for the final Test at the Oval, and 158 runs in the first innings against Australia seemed to have guaranteed his place in the side to play the 1968–69 Test series in South Africa. He was left out of the touring party under the pretext that his bowling would not be effective in his native country. 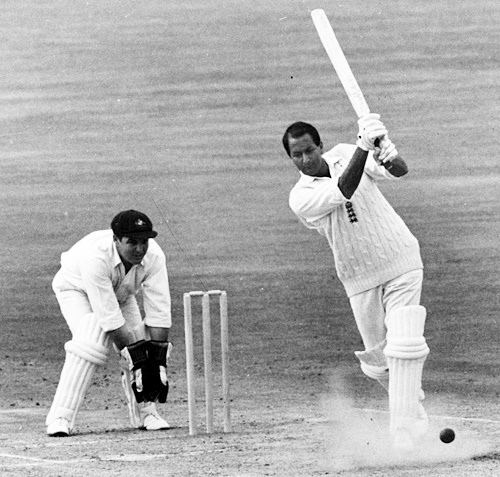 He was selected in June 1969 to face the West Indies, this time in a three-Test series. He followed that with a three-match series against New Zealand and then a seven-Test Ashes series in Australia, in which he scored 369 runs at an average of 36.9, including 117 in the fifth Test at the MCG. He was married to Naomi, and their son Damian DOliveira also played first-class cricket for Worcestershire, while his younger brother Ivan played briefly for Leicestershire. His grandson Brett DOliveira is currently contracted with Worcestershire and made his debut for the county in 2011.